You are doing everything you can do to be healthy. You’re eating “clean” and organic foods and cutting out excess carbs, fat, sugar, and processed foods. You are dedicated to your fitness routine and exercise five days a week with 40 minutes of cardio and even some strength training. You get to bed at a reasonable time and usually get 7 to 8 hours of sleep each night. And of course, you’re drinking more water than you ever thought possible! And yet, you don’t feel as well as you would like to. You are fatigued and sluggish feeling, have headaches, muscle and joint pain, and GI issues. Perhaps you have a chronic illness and nothing you try seems to alleviate the symptoms. And to add insult to injury, for all the time you log on the elliptical, you can’t see an ounce of difference and your skinny jeans don’t lie! Just when you start to think that you might as well give up and live a mediocre existence…..STOP! There is hope! Have you ever considered that eating “healthy” is not enough? We are all unique and our diets must be personalized to the individual in order to really provide significant health benefits. 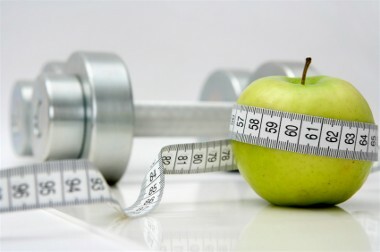 In fact, a diet that is tailored to your blood type is the way for you to get back on track to good health! Dr. Peter J. D’Adamo created a health revolution with his first book, the New York Times bestseller Eat Right 4 Your Type. And over ten years later that continues ever stronger. 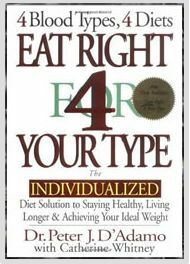 Eat Right 4 Your Type was named as one of the ten most important health books ever written by respected health publishing analysts. With more than 5 million copies in print in over 50 languages, this groundbreaking book celebrates its 10th year as an unprecedented non-stop bestseller in hardcover. According to Dr. D’Adamo’s studies, 3 out of 4 appear to be the odds that your health will improve by following the right diet for your blood type. People who have tried the Blood Type Diet for a period of just one month, 3 out of 4 (71-78%) had a remarkable improvement in a variety of health conditions. The effect most often observed was weight loss. However, other benefits have been noted in detail. These include improvements in digestive function, resistance to stress, overall energy, and mental clarity. The percentages (71-78%) of individuals reporting positive results and overall improved health are true for all the blood types. If you’re a Type O, you may have just had a big “aha” moment because it now makes sense why you crave your steak and sushi! And some more interesting food for thought: Type O is the oldest and original blood type. It is the blood type of our cavemen ancestors. Not so surprising then why Type O’s thrive on a high protein diet! To learn how to customize your diet for your blood type, visit Dr. D’Adamo’s website. Here you will learn more about Dr. D’Adamo’s revolutionary medical and genetic research that reveals how blood type is the key to your biochemical uniqueness. When you eat right for your blood type, your body responds the way it should – how nature intended.